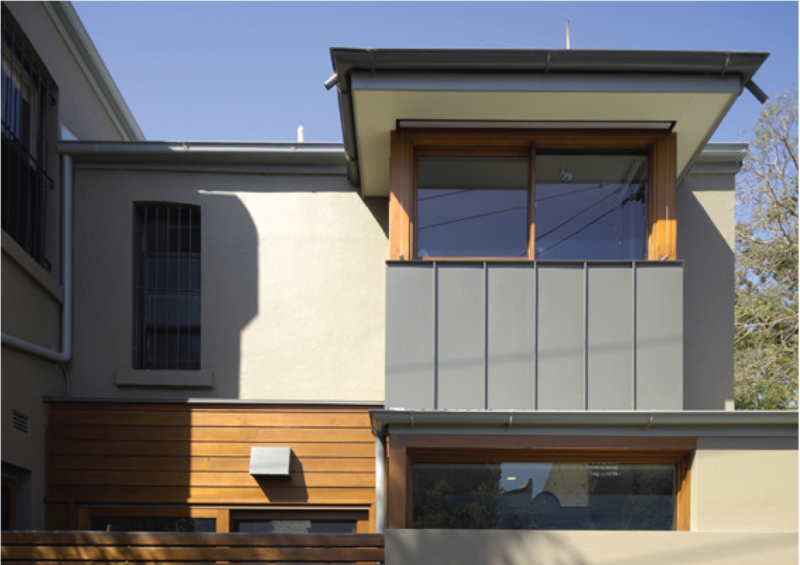 ‘Fit’ with the old concept to an Inner West Heritage listed dwelling. Two storey extension to a contributory item in the Blues Point Rd Conservation Area. Heritage listed ground floor alterations and first floor addition.